Many of the articles in this debate have highlighted overt crackdowns on domestically based NGOs, including state practices that close down opportunities to mobilize and finance opposition movements. This is certainly a clear and present danger. But there is another aspect, less visible, which merits attention: the avenues for NGOs to cross borders and contribute to good governance. A case in point is the Trans-Pacific Partnership (TPP), where negotiators missed an opportunity to include civil society in labor compliance oversight. The TPP requires the 12 member states to uphold basic International Labour Organization (ILO) standards. But there is a simple problem: no one knows what to do about non-compliance. 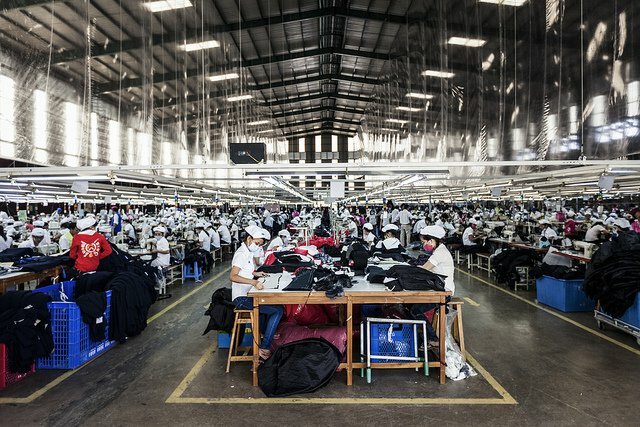 Recent reports from The Atlantic Monthly and the House Ways and Means Committee cast doubt on the ability of the United States to hold some of the TPP partner countries to their labor rights commitments. Vietnam, Malaysia, and Brunei, for example, have agreed “consistency plans” with the United States to ensure compliance, but there are serious weaknesses in enforcement capacity and political will. The labor chapter of the TPP requires member states to create “consultative or advisory bodies” for public input, but these are still dependent on the good will of governments who caused or contributed to the problems in the first place. Workers at a garment factory in Ho Chi Minh City, Vietnam. The missing link, clearly, is civil society. Civil society members are the “first responders” in cases of non-compliance. While TPP advocates and opponents grappled over what labor principles to include, and what dispute resolution procedures to follow, they missed this critical issue—who brings the dispute, and to what forum? After all, government to government disputes are subject to political influence. Labor rights cases are often not pursued by the US if the trade partner is an ally or has domestic political difficulties. With limited resources, the US must pick its fights with care. Here a comparison to NAFTA is apt. NAFTA’s labor provisions are rightly condemned for several shortcomings, but its positive impact is often overlooked. NAFTA was groundbreaking in that it permitted Mexican labor unions to complain directly to the US Department of Labor (or its Canadian counterpart) about labor injustice and compliance failures in Mexico. This had important consequences. Labor rights NGOs and trade unions built cross-national networks. Capacity grew among independent Mexican unions because, together with more experienced and better-resourced North American unions, they learned how to compile legal cases, gather and submit evidence, and convince investigators of the need to look into Mexican practices. This experience got them a place at the table when the Mexican labor ministry later considered reforms, and the Mexican labor authorities began reform processes that would otherwise have been left to one side. In fact, in my recent study comparing the impact of the two NAFTA side agreements, I found that several elements of the environmental agreement were superior to the labor agreement. First, a trilateral Commission for Environmental Cooperation, based in Montreal, was established with the authority to consider citizen complaints from across the three countries. In certain cases it can act on its own to issue reports highlighting environmental problems. Its independence de-politicized and de-nationalized its fact-finding and reporting. The labor agreement instead mandated new offices within the labor departments of the three member states. When a Mexican trade union wants to complain about Mexican labor practices, it files the complaint in the US or Canadian Department of Labor. When the review body is neutral, buy-in from targeted governments increases. Why is this difference important? The track record shows that when the review body is neutral, buy-in from targeted governments increases. Criticisms carry more weight and are perceived as more legitimate than the criticisms of an office within a member state government. Mexico was more accepting of the findings of a neutral body than it was of the US Department of Labor’s reports. And it wasn’t simply nationalist sensitivities that affected case outcomes in the US Department of Labor—ideological biases, political agendas, and electoral timelines mattered too. Second, the environmental accord created a permanent body for civil society to participate in agenda-setting and oversight roles. This was missing on the labor side, and so when the process of complaint filing was completed, labor unions drifted back home. They did not stay engaged with partners from other member states or work to set the labor rights agenda. The environmental agreement also provided (admittedly small amounts of) capacity-building resources that benefitted bureaucrats and NGOs in member countries. Taking these lessons to heart, what the TPP should have done was to create a neutral inter-governmental body with mechanisms to receive complaints about non-compliance directly from affected civil society groups in TPP member states. This body would then have powers (under specified decision rules) to conduct fact-finding investigations and reports, after which member states could take action. Civil society should also have a permanent role in the functioning of this inter-governmental agency, helping form its priorities and work plans, and participating in compliance oversight. This would do two important things: it would strengthen the TPP’s legitimacy and it would increase the efficiency of compliance oversight. However, changes can still be made. Separately, member states should be encouraged to foster stronger domestic oversight institutions (such as freedom of information agencies, courts, and depoliticized career bureaucratic paths). In addition, TPP-wide resources for training and mobility could help narrow the capacity gap. They could provide opportunities for education and training of civil servants and NGO officials, as well as opportunities for secondments and placements in NGOs, domestic ministries and the inter-governmental institution. Such reasonably low-cost steps would help instill values of good governance, promote communication, and increase transparency and accountability.